Discount artificial flowers are what you will find lots and lots of here. 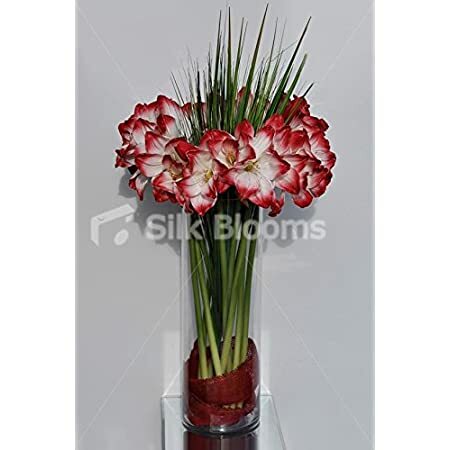 You will find silk flowers being added weekly. If you want to look for those on special just look for the word “Sale” in the top right hand section of the images. Silk roses make the most beautiful silk flower centerpieces that is suitable for a variety of occasions. With their brilliant pink petals they offer a soft allure that will surely compliment both modern and traditional designs alike. The addition of the romantic willow branches with green foliage creates a beautiful foundation. 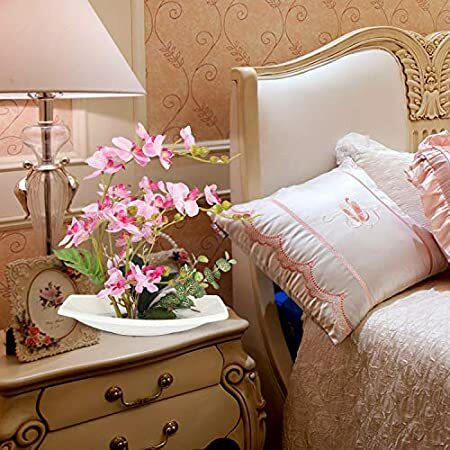 Add the for the lush pink flowers that offers an unmatched appeal. If you’re looking for the perfect centerpiece for your dining room table. A great arrangement to display in a guest bathroom. 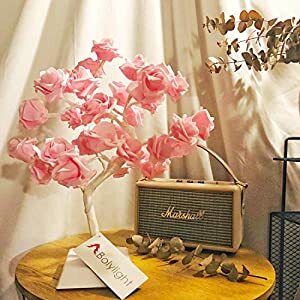 Or a beautiful gift for a friend or family member, the Giant Fancy Rose Willow Arrangement Pink is a brilliant choice. Silk Red roses have always been the best way to show someone that you care and if you’re looking for the perfect amount of modern drama to add to any room, this red arrangement is a phenomenal option. Whether you’re looking to add decorations to your home or searching for the perfect gift for a friend or a family member, this arrangement is breathtakingly beautiful. The lush greenery sets the perfect backdrop for the deep red petals on the fully blossomed roses. The beautiful swirling willow branches add depth to the arrangement that pulls it all together. Greenery is a beautiful addition to any room in your home, particularly if you’re not a fan of flowers. The Giant Sea Grape Leaf w/Cylinder Silk Plant is a modern luxury that would be a stunning addition to a flower arrangement. Or a brilliant piece on its own. It is an incredibly modern display that adds the perfect amount of green, red, and brown hues to any room. Another advantage to this arrangement is that it is adaptable to many seasons. Instead of relying on a traditional bouquet of foliage. Also this silk display is constructed with high quality silk. That way it looks real without having to worry about the leaves drying out and dying. This beautiful arrangement is available in one size only and is the perfect combination of white and red. Instead of the traditional display of red roses with baby’s breath, the cherry blossoms help to add depth and a more modern appeal. 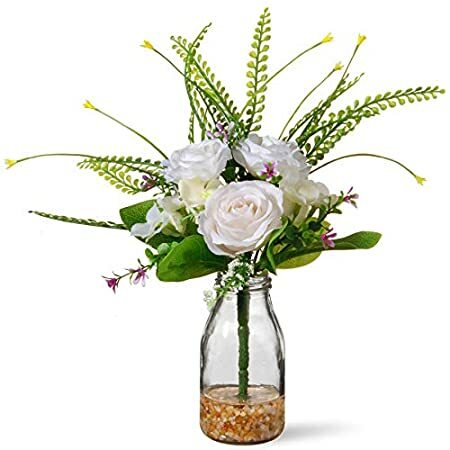 The spanning white branches of blossoms are the perfect addition to the arrangement. It breaks up the deep looming red of the fully blossomed roses. 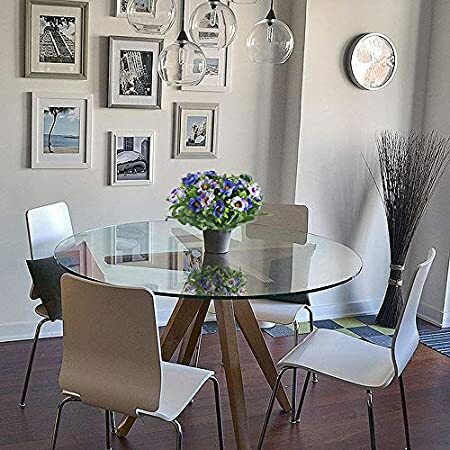 It is an incredibly powerful combination of flowers that would appropriately fit in the middle of your dining room table or your kitchen island. They would also make a phenomenal gift for a loved one or friend. There’s nothing more beautiful than a simple display of roses in an incredibly modern vase. The Roses w/Cylinder Vase Silk Flower Arrangement offers the perfect amount of flowers in a tall vase. That is just as powerful as it is stunning. 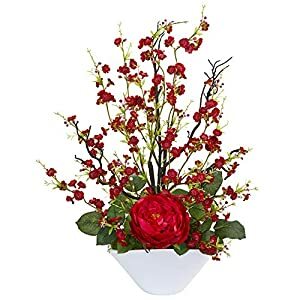 If you’re looking for the ideal gift for a loved one, these silk flowers are constructed using the highest quality materials to create a spectacular arrangement and of course we are about discount artificial flowers. Instead of having to worry about giving a gift that is going to eventually wilt and wither, the silk flowers will last a very long time. With a beauty that is unmatched by any other flower, roses are classic. They are stunning for any occasion. Beauty can be found in the simplest of things and this 38” Giant Peony Silk Flower Arrangement White. 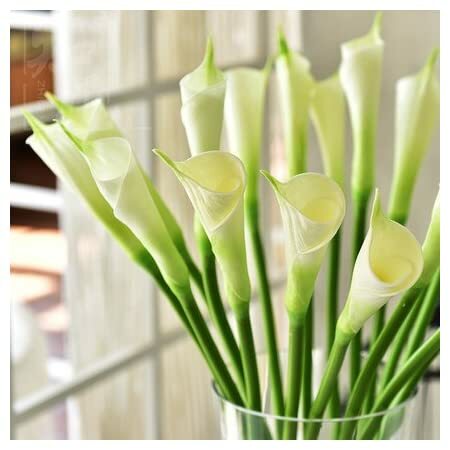 It offers a classic simplicity with the combination of greenery and white petals. Peonies are an incredibly feminine flower that will bring an allure of romance into any room. This arrangement would make a stunning display in your office or even your bedroom. There’s nothing better than being able to add a little bit of life to your home by having peonies of varying stages of bloom. The brilliant greenery sets a striking contrast to help break up the beauty of the white peony blossoms. Known as some of the bulkiest flowers that you can find, hydrangeas are also one of the most popular species that people love for a variety of formal occasions including weddings. One of the largest advantages to the Large silk hydrangea is the fact that the flowers are constructed out of pure silk. Considering hydrangeas are commonly known to brown and wilt in a limited amount of time. Having silk flowers helps to preserve their beauty throughout the years. You won’t have to worry about dropped petals or the flowers looking anything less than perfect when they are displayed in your home.